Looking for something to do, perhaps retreat to nature for a little werisfesteria and great music? You might want to check out the Incantatus Festival 2015! "A mystical jungle amidst the ocean and mountains awaits those who are worthy to marvel at its beauty." 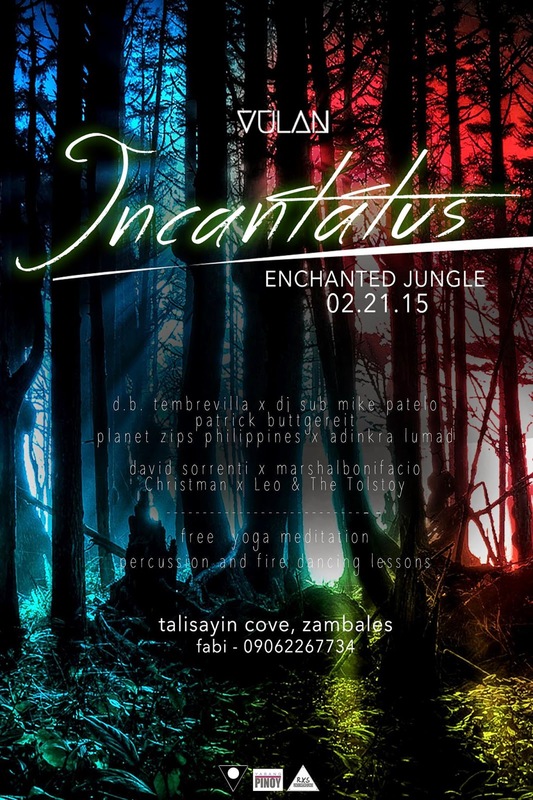 Incantatus is an intimate festival set in the hearts of INCANTADIA; a mystical jungle amidst the vast ocean and luscious mountains. We aim to promote self-discovery, environmental awareness, and amazing escape from the chaotic life in the city. Enjoy a transcendental state as Incantatus help you open portals for emotional, physical, spiritual, and mental healing through music, meditation sessions, yoga,dancing , and many more. Dance to the beat of the drums and percussion led by Adinkra Lumads Djembe Community. Get fascinated by fire as Planet Zips dance and play it by fire. And enjoy a series of relaxing meditation sessions from some if the best instructors in the Philippines. We will have DJs from Germany, Italy, Manila, and London to give you best techno, house, trance, and psychedelic music! There will be performances by our amazing local artists. Free yoga classes, meditation sessions and many more to keep your mind, body, and soul healthy. Festival dates: February 21-22, 2014. - Bus, Boat, Entrance and Camping Fees, Yoga and more workshops. For more information, visit VULAN Festival and Incantatus Festival's Facebook pages.